This 11 acre +/- property is located just minutes from Calamine, AR down Nelsonville Road in Sharp County. 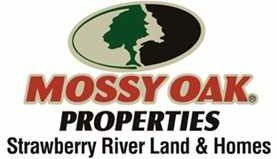 This property has mixed use residential, recreational, timberland and is loaded with whitetail deer, turkey, small game and Lake fishing rights! Many ATV trails, equestrian trails, hiking trails, biking trails and some bird watching to enjoy on this property. Has road frontage. Bare land but has a lot to offer. Build your dream home or maybe just a place to park your trailer while hunting or fishing. This is a must see. Call Pam Welch at 870-897-0700 anytime.